Reducing the incidence of preterm birth is a national priority. Maternal cigarette smoking is strongly and consistently associated with preterm birth. The objective of this study was to examine prenatal exposure based on combined measures of timing (by trimester) and intensity level (the number of cigarettes smoked per day) of maternal smoking to identify a pregnancy period with the highest risk of preterm birth. A sample of 2,485,743 singleton births was drawn from the 2010 National Center of Health Statistics (NCHS) linked birth/infant death file of US residents in 33 states that implemented the revised 2003 birth certificate. Nine mutually exclusive smoking status categories were created to assess prenatal exposure across pregnancy in association with preterm birth. Gestational age was based on the obstetric estimate. Multiple logistic regression analyses were conducted to compare the odds of preterm birth among women who smoked at different intensity levels in the second or third trimester with those who smoked only in the first trimester. Overall, 7.95% of women had a preterm birth; 8.90% of low intensity (less than a pack/day) smokers in the first trimester only, 12.99% of low and 15.38% of high intensity (pack a day or more) smokers in the first two trimesters, and 10.56% of low and 11.35% of high intensity smokers in all three trimesters delivered preterm. First and second trimester high (aOR 1.85, 95% CI: 1.66, 2.06) and low intensity smokers (aOR 1.51, 95% CI: 1.41, 1.61) had higher odds of preterm birth compared to those who smoked less than a pack a day only in the first trimester, but the odds did not increase for all three trimester smokers relative to the first and second trimester smokers. In sensitivity analysis, adjustment for exposure misclassification error corrected data and testing for effect modification by maternal race/ethnicity found no significant interaction. This study documented a biologically plausible vulnerability window for smoking exposure and the increased risk of preterm birth. For women who do not modify their smoking behavior preconception, preterm birth risk of smoking remains low until late in the first trimester. Preterm birth before 37 weeks gestation occurs in about 5 to 18% of all pregnancies and is associated with increased morbidity and mortality in newborns. Smoking during pregnancy is a potentially preventable risk factor for preterm birth, yet nearly one-third of reproductive age women (18–44 years old) are daily smokers and at least half of women continue smoking during pregnancy. Infants whose mothers do not smoke at all have dramatically better outcomes. Although women try to quit smoking upon pregnancy recognition, little is known about when smoking cessation during pregnancy matters most for preterm birth. To date, few studies thoroughly examined variability in patterns of timing and intensity of smoking to capture the extent of prenatal exposure across trimesters of pregnancy. This is the first population-based study to utilize combined measures of timing, intensity and duration of maternal smoking to identify a potential biologically plausible window of enhanced vulnerability to smoking exposure, which is late in the first trimester, to avoid preterm birth. Given low rates of quitting and high rates of relapse among women who smoke in the first trimester of pregnancy, [15, 16] we seek to understand the implications of prenatal exposure from continued smoking or quitting early or later in pregnancy. Associations with preterm birth were most commonly reported for maternal smoking in early pregnancy (the first trimester)  or mid-trimester;  however, a specific time by which smoking in pregnancy must stop to prevent preterm delivery is unclear. To examine prenatal exposure status more thoroughly in association with the increased risk of preterm birth, we combined measures of timing (per trimester), intensity (by the number of cigarettes smoked per day) and duration (consistency) of maternal smoking into nine mutually exclusive smoking status categories. We hypothesize that systematically comparing various smoking patterns across trimesters of pregnancy can establish smoking exposure and help identify biologically plausible window(s) for enhanced vulnerability to preterm birth. This cross-sectional study included the entire population of 2,485,743 singleton live births in the United States in 2010, after excluding multiple births (n = 138,264), births in states with unrevised certificates (n = 906,068), births with missing data on maternal race (n = 2146) and on other maternal demographic characteristics (n = 10,214), and on smoking by trimester (n = 465,084). A vulnerability window for prenatal smoking exposure was defined as the most sensitive period (trimester) in pregnancy [28, 29], as indicated by the increased odds of preterm birth. The outcome variable was preterm birth defined categorically based on gestational age of less than 37 weeks gestation or between 20 0/7 and 36 6/7 weeks gestation. We combined race and ethnicity to form five categories: non-Hispanic White, non-Hispanic Black, Hispanic, non-Hispanic Asian, and American Indian. Maternal age categories were 12–19, 20–34 and 35 years old or older; maternal education was categorized as less than high school, high school graduate, some college or associate degree, and a bachelor’s degree or higher; and marital status was married or unmarried. Prenatal exposure status was examined based on variability in maternal smoking patterns across trimesters. [30, 31, 32] Women who quit smoking before pregnancy appeared to have a rate of exposure similar to non-smoking women  and we did not study them separately. We assumed that women who reported smoking were active smokers because nonsmokers would be less likely to report active smoking in pregnancy. [33, 34] We classified women as non-smoking only if they reported no cigarette use during any trimester. Consistent ever-smokers could have smoked in the first trimester only, in the first and second trimesters only, or in all three trimesters. A small proportion of women were inconsistent smokers who reported smoking in the first and in the third trimester only and denied smoking in the second trimester, who reported smoking in the second trimester only or in the second and the third trimester, or who smoked only in the third trimester. Our study advanced standard methodology by creating nine mutually exclusive smoking intensity status categories combining measures of timing (trimesters in which smoking was reported), intensity (the number of cigarettes smoked per day) and duration (consistency across trimesters) of smoking to thoroughly assess distribution of prenatal exposure across trimesters: low-intensity smokers (1–19 cigarettes/day or less than a pack/day) in the first but not in the second trimester (reference group); high-intensity smokers (≥20 cigarettes/day or a pack/day or more) in the first but not in the second trimester; low-intensity smokers in the first and second trimesters; high-intensity smokers in the first and second trimesters; low-intensity smokers who started smoking in the second or third trimesters (did not smoke in the first trimester); high-intensity smokers who started smoking in the second or third trimesters; low-intensity smokers in all three trimesters; high-intensity smokers in all three trimesters; and nonsmokers (no trimester smokers). In this study, the entire population of 2,485,743 singleton live births in the US in 2010 was separated into two gestational age subgroups: births between 20 weeks gestation and term (second and third trimester births) and births between 28 weeks gestation and term (third trimester births only). Conceptually, we first estimated preterm birth (20- < 37 weeks gestation) rates for these two gestational age subgroups across maternal race/ethnicity, age, educational attainment and marital status (Table 1), and performed similar analyses according to maternal smoking status categories (Table 2). Next, we conducted multiple logistic regression analyses to assess crude (without adjustment for confounding) and adjusted (with adjustment for confounding) odds ratios of preterm births and 95% confidence intervals (Table 3). To identify a potential vulnerability window during which prenatal smoking exposure exerts greatest effect on the increased risk of preterm birth, we sought a combination of trimester-timing and intensity-level maternal smoking that was most strongly linked to the risk of preterm birth. Our focus was on comparing prenatal exposure by trimester from the beginning of pregnancy and we assumed that women lower their smoking intensity and quit thereafter, thus low intensity smoking in the first trimester only was the reference category. The main comparison involved women who smoked in the first and in the second trimester versus in the first trimester (referent), and those who smoked in the first, the second, and third trimester versus in the first trimester (referent). In order to determine which trimester smoking exposure was associated with the highest risk of preterm birth, we also examined inconsistent smokers. Significance level was set at p = 0.05. Additionally, we conducted a sensitivity analysis for potential exposure misclassification error based on maternal smoking self-reports by analyzing only those mothers who delivered in the third trimester, i.e., the second gestational age subgroup [44, 45] and separately tested for effect modification by maternal race/ethnicity on the association between high intensity smoking status in the first and the second trimester and the risk of preterm birth. [43, 47] The study analysis included the entire population, so weights were not utilized. SAS version 9.4 (SAS Institute Inc., Cary, NC) was used in all statistical computations. This was a secondary analysis of deidentified and publicly available data and our study received Institutional Review Board (IRB) exemption from the University of Maryland. The authors have no financial or other conflict of interest. Nearly 7.95% of mothers had a preterm birth (20 - < 37 weeks gestation) by the most inclusive definition and 7.49% mothers delivered preterm in the third trimester (28 - < 37 weeks gestation) (Table 1; left- and right-hand panels, respectively). Over half (53.12%) of mothers were non-Hispanic White who had a preterm birth rate of 7.27 and 11.92% were non-Hispanic Black mothers with a preterm birth rate of 11.48%. More than 90% of women abstained from smoking during pregnancy (Table 2). Among women who smoked consistently during all three trimesters (7.14%), 5.23% smoked less than a pack/day and 1.91% smoked a pack/day or more. Women who reported smoking less than a pack/day (low intensity smokers) in the first trimester only (1.15%) were the reference category. In the first gestational age subgroup analysis (20 weeks gestation to term) 7.68% of women who abstained from smoking during pregnancy had a preterm birth (Table 2; left hand panel). In comparison, among women who smoked during all three trimesters, 10.56% of low intensity smokers (less than a pack/day) and 11.35% of high intensity smokers (more than a pack/day) delivered preterm (Table 2; left hand panel). In the second gestational age subgroup (28 weeks gestation to term) the results were similar, but preterm birth rates were lower (Table 2, right hand panel). Two logistic regression models display results of crude and adjusted odds ratios (Table 3). Mothers who abstained from smoking had about 10% lower adjusted odds ratios of preterm birth in the first gestational age subgroup (aOR 0.90, 95% CI: 0.86, 0.94; Table 3, upper panel) and 7% in the second gestational age subgroup analysis (aOR 0.93, 95% CI: 0.89, 0.97; Table 3, lower panel), compared to the first trimester low intensity smokers (referent). Comparison of timing of prenatal exposure across trimesters indicates that not smoking in the first trimester but smoking in the second and third trimesters does not increase the risk of preterm birth, compared to smoking at low intensity in the first trimester only. Women who smoked more than a pack/day only in the first trimester did not have significantly higher odds of preterm birth, compared to women who smoked less than a pack a day (referent). In contrast, women who smoked less than a pack a day in the first and second trimesters had 51% higher odds of preterm birth (aOR 1.51, 95% CI: 1.41, 1.61) than those who smoked less than a pack/day in the first trimester only (referent) (Table 3). Finally, women who smoked more than a pack a day in the first and second trimesters had 85% higher odds of preterm birth (aOR 1.85, 95% CI: 1.66, 2.06), compared to women who smoked less than a pack/day in the first trimester only (referent). This suggests that the late part of the first trimester is a potential vulnerability period during which smoking exerts its greatest effect on the risk of preterm birth. Many women quit smoking during pregnancy to reduce risk of harm to the developing fetus but the rate of successful quit attempts is low. Although understanding the implications of varied patterns of maternal smoking from the onset of pregnancy until the time of delivery would be informative to women and health professionals, research to date has been limited. [30, 48] A recent meta-analysis revealed that almost half of studies use a binary measure of maternal smoking, usually collected after delivery, and poorly define intensity levels. The present study assessed how the odds of preterm birth vary according to measures of timing (per trimester), intensity (the number of cigarettes smoked per day) and duration (consistency) of smoking in pregnancy, using first trimester quitting as a reference category. Women who did not smoke during the first trimester had a risk of preterm birth similar to those who quit during that trimester. Women who smoked more than a pack/day in the first trimester only did not have significantly higher odds of preterm birth compared to women who smoked less than a pack a day in the first trimester only (referent). This suggests that there is a window of time wherein quitting keeps the risk of preterm birth to a level comparable to nonsmokers, and intensity does not affect this risk. In contrast, women who smoked less or more than a pack a day in the first and second trimesters had a significantly higher odds of preterm birth compared to the referent category. Additionally, those who did not report smoking in the first trimester but smoked later did not have higher risk of preterm birth. 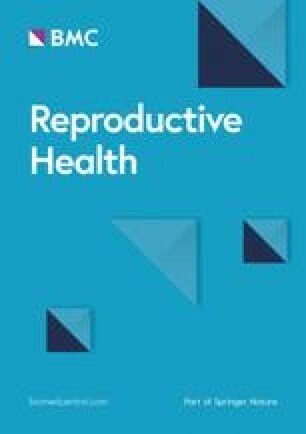 The period late in the first and early in the second trimester is a potential biologically plausible vulnerability window for the risk of preterm birth that has been proposed in prior research [19, 21] and this research suggests that it is most pronounced late in the first trimester. To our knowledge, this is the first population-based study to examine how prenatal exposure measured by combined timing, duration and intensity of smoking is associated with an increased likelihood of delivering preterm. Ideally, the present study should be extended to reoccurring preterm birth and other adverse pregnancy outcomes. Given the complexity of preterm birth syndrome, [56, 57] this epidemiological evidence integrated with biological and clinical knowledge will improve birth outcomes in women considered at a high risk of preterm delivery. The main strength of our study was the availability of a large national dataset of over 2 million live U.S. births that contains information on maternal smoking behavior during each trimester of pregnancy. Revised birth certificates with enhanced health data on mothers and infants can expand opportunities in perinatal research. There are also a few limitations. One limitation is that the study population is not representative of the entire U.S. population, because in 2010 only 76% of all US states used the revised birth certificate. This still represents an advance over previous research that used data from one individual state [21, 47] or from a smaller set of states. Similar to prior research, we excluded multiple births and data with missing covariates. There is a lack of information in the birth certificate on other risk factors that could confound the association between maternal smoking and preterm birth, such as exposure to passive smoking. Potential for exposure misclassification exists from maternal self-reports on smoking that may be underreported or prone to recall bias. [36, 41, 45] As we addressed in the sensitivity analysis, women who deliver preterm in the second trimester may inadvertently misreport smoking in the third trimester, becoming self-designated “third trimester smokers”. Women appear motivated to quit smoking during pregnancy; however, behavioral change is difficult to initiate and maintain. Knowing a period of vulnerability in which smoking exposure could harm a developing fetus and raise the risk of preterm birth would help health professionals to inform reproductive age and pregnant women. Early smoking cessation interventions may have a greater effect on the reduction of preterm birth, not just because the majority of women who smoke in the first trimester continue to smoke throughout pregnancy, but because the vulnerability period for smoking exposure appears late in the first trimester. Ultimately, findings from this study may guide future research in understanding the etiology and mechanisms of other adverse birth outcomes (e.g. low birthweight, placenta praevia) and in developing potential screening or risk prediction biomarkers and therapeutic targets. Support for this research was provided by the Eunice Kennedy Shriver National Institute of Child Health and Human Development (Grant R01-HD053654, S. Hofferth, PI, and R24-HD041041 to the Maryland Population Research Center). Partial funding for open access provided by the UMD Libraries' Open Access Publishing Fund. The dataset analyzed during the current study is publicly available from the National Center for Health Statistics (NCHS) Vital Statistics Natality Birth Data and can be accessed through the National Bureau of Economic Research website: http://www.nber.org/data/vital-statistics-natality-data.html. AJK contributed to the study concept, data analysis and drafting of the paper. AJK and SLH were equally responsible for the study design, acquisition of data, revising, and approving the final version of the manuscript. Romero R, Dey SK, Fisher SJ. Preterm labor: one syndrome, many causes. Science 2014; 345(6198):760–765. PMID: 25124429 Doi https://doi.org/10.1126/science.